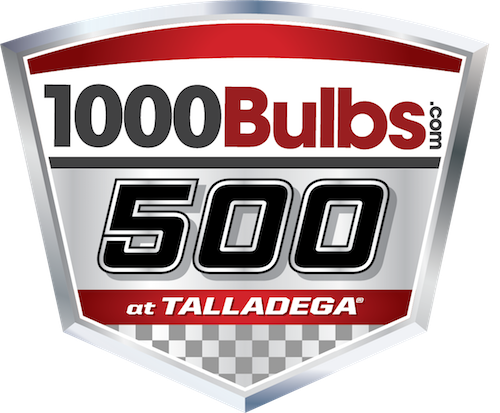 The Monster Energy NASCAR Cup Series rolls into the second race of the second round of its 2018 playoffs with a visit to Talladega (Ala.) Superspeedway for Sunday’s 1000Bulbs.com 500. 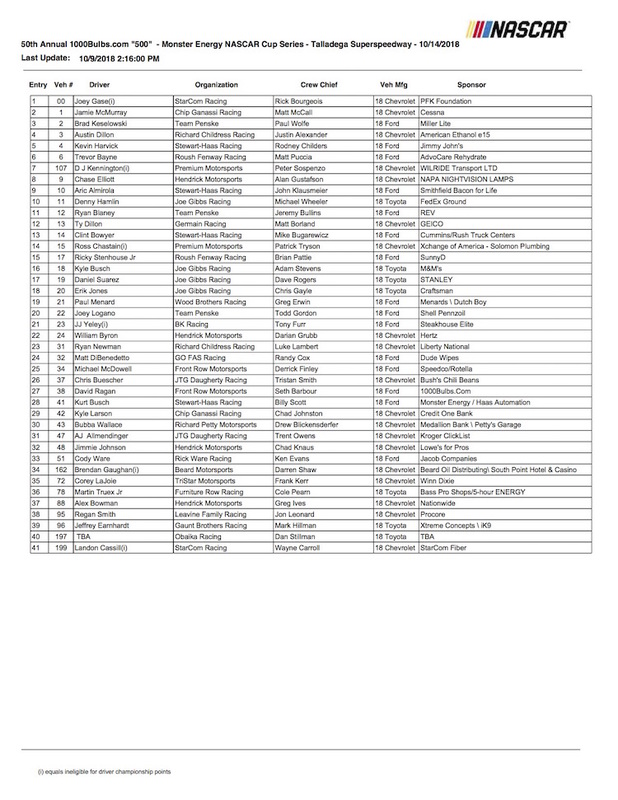 Forty-one cars/drivers are on the entry list for Sunday’s race, so one team/driver will be on the outside looking in after Saturday evening’s qualifying session. Entrants for the Talladega race include the No. 97 of Obaika Racing. That team hopes to make its series debut with NASCAR Xfinity Series regular David Starr as its driver. Team Penske teammates Joey Logano and Brad Keselowski have won the last two races at Talladega, with Keselowski being the defending winner of the fall race and Logano winning there earlier this season. Ford has won the last six Cup Series races at Talladega and the Team Penske duo of Keselowski and Logano four of the last five. Qualifying is scheduled for 4:35 p.m. ET Saturday and may be seen on the NBC Sports Network. The race is scheduled to take the green flag at approximately 2 p.m. Sunday. It will be shown live on NBC.